Love that line! Win this book! Dying is hard on the dying. Death is hard on the living. 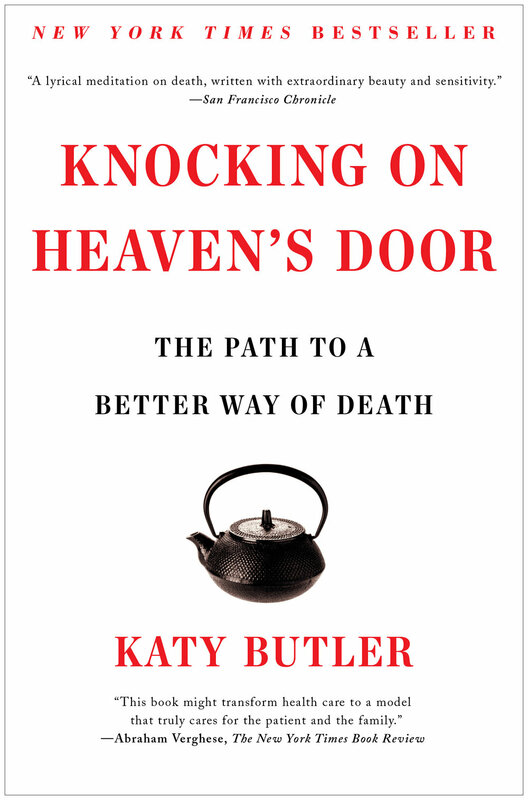 Blending medical history with personal story, writer Katy Butler explores Slow Medicine — a new, yet ancient, way to embrace dying and death. She masterfully integrates a reporter’s skill with a daughter's love and a poet's heart to share the story of her parents' long illnesses and eventual deaths. Of course we don’t want to die. We don’t want to say goodbye to those we love. We certainly don’t want to be the one who says to a doctor, “Enough.” In this we are not alone. . . Perhaps if we find ways to make the pathway to natural death sacred and familiar again, we will recover the courage to face our deaths. If we don’t, technological medicine at the end of life will continue to collude with our fear and ignorance and profit from it. Unless we create new rites of passage to help prepare for death long before it comes, we will remain vulnerable to the commercial exploitation of our fears and to the implied promise that death can forever be postponed. In the last few years, by chance and later by pursuit, I've read many books in what is known as the "End of Life" genre. The most compelling I've found are Being Mortal and God's Hotel. Published in 2013, Knocking on Heaven's Door is now at the top of my list. Written with such skill and heart, I'm baffled this book has not received the attention it deserves. But I'm grateful to have found a handbook that reflects my heart and hope. In fact, I like this book so much I'm giving it away! No tricks or gimmicks. Just provide your name and contact email in the comment section (for blog readers) or by email (for blog-by-email readers). I'll close my eyes and draw one lucky name on Sunday, September 3, 2017. Older PostThankful Tuesday because we need it now!